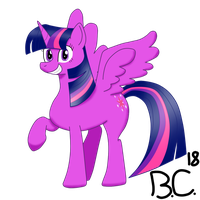 The Official Cutie Mark Vector of Twilight Sparkle the Unicorn Pony! Use as you please! Here you go!! Thanks so much for letting me use the vector for this deviation. Took me 2 days to complete. Hope you like this, and have fun!! 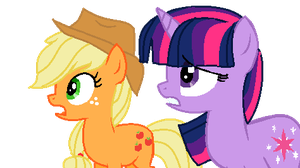 Twilight and Applejack's cutie marks used! Thank you! Used here...if that's okay with you. Ah, this will really help me---and is this the same Black Gryph0n from youtube? I love your music, by the way, if you are the same one. Will become a classic icon. I will be using this for a boss scene. Using for a Love Letter mod for Tabletop Simulator. Used it in my Sparkle-Cola mod! Props, man! Used it here! Thanks for making this! I used your cutie mark vector of Twilight Sparkle for my post featuring my OC battling against the Master of Magic herself: askdoctorbristle.tumblr.com/po…. I horizontally flipped Twilight's cutie mark since she is looking at Doctor Bristle. Can you do it without background? This CM was used in my Youtube video, History of the Alicorns: A Response to Ink Rose, which is an expansion on Ink Rose's headcanon, adding details and fixing minor errors. You've been listed in the credits of the video and there is also a link in the description to a gallery on dA that has all of the pictures. may I use this plz? 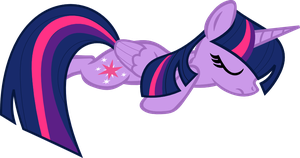 Out of every cutie mark vector you made, Twilight Sparkle's cutie mark is the best. Just to let you know, I used it at: doctorbristle.tumblr.com/post/… I am using it for Twilight Sparkle in my Tumblr post about my OC pony's (Doctor Bristle) love for Sailor Moon (Serena Tsukino). Like with my post that gave thanks my followers twenty-eight days ago, I am posting this link because it is my responsibility to do that. Used here :3 hope you like!